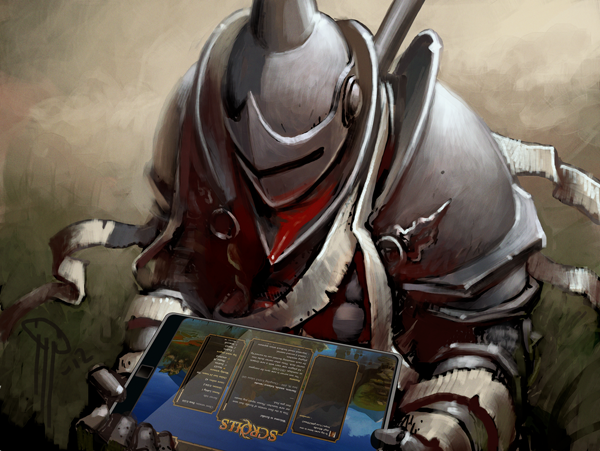 As you might remember from our last update post, Scrolls is getting released on tablets very soon. Aside from the technical issues of porting a game of such awesomeness to portable devices, we’ve realised that our current price point is not feasible for flatter, more touchy, machines. Cross-platform play is extremely important to us, so creating separate communities for tablets and PC/Mac was out of the question. We’re also determined to maintain a one-off cost for Scrolls and not pressure our players into spending extra cash in order to be competitive, or to have a good time in both the early and late game. Our current price of $21 isn’t feasible for tablets. As you probably already know, games are cheap on those things. Free-to-play would be an option, but we’re not keen on the way that that form of monetisation can affect gameplay. The price will be lowered to $5, or equivalent in your currency. Existing customers will be given the $20 shard package at no additional cost. We will feature full cross-platform play. PC, Mac, and tablet players will face off against each other in a digital battle royale! Your scrolls collection will be consistent across platforms. That’s all for now. We hope you like these decisions! See you on the battlefield. Owen – @bopogamel, Mans – @MansOlson, and the Scrolls team.